Heinrich started working as a dishwasher in his uncle’s restaurant in Calgary aged 13 and he hasn’t left the kitchen since. After graduating from Stratford Chef’s School in 2005, he travelled and worked in New York City, France and Vancouver before ending up in Toronto. Work experience highlights include the Sooke Harbour House, Camille’s West Coast Fine Dining, Gramercy Tavern and db Bistro Moderne in NYC, Le Comptoir and Georges Blanc in France and Le Louis XV in Monaco. In 2012 he earned the title of the Food Network’s Top Chef Canada. 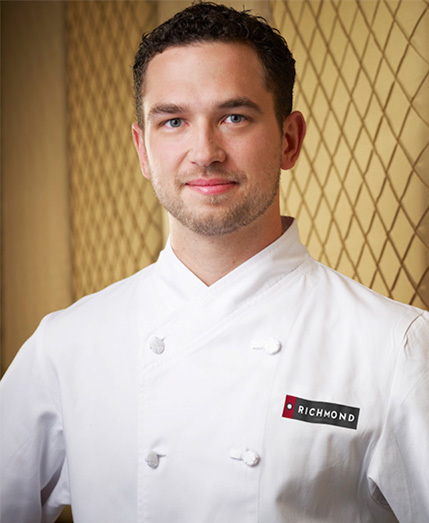 In Toronto, he reunited with old classmate Ryan Donovan to open Richmond Station, the bustling neighbourhood restaurant downtown; his cuisine is inspired by quality ingredients and driven by classic and modern techniques. Since then Heinrich has hosted four seasons of AMI’s Four Senses with Christine Ha and received the Pinnacle Award for Chef of the Year in 2015.